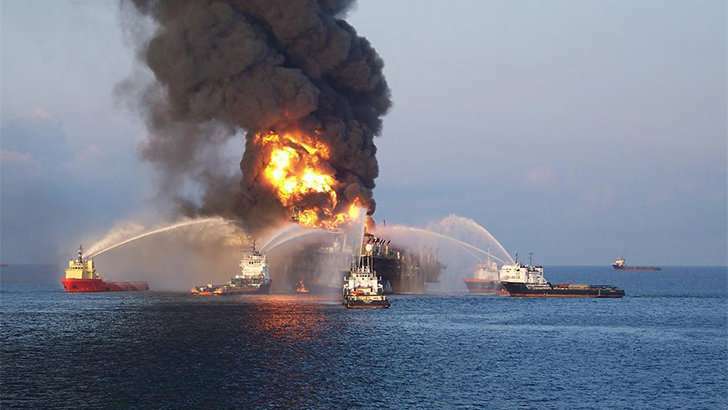 The University of South Florida (United States) continues to analyze the magnitude of the damage caused by the oil spill from the Deepwater Horizon, the oil rig of the Gulf of Mexico that sank in 2010 after an explosion and that caused the oil spill. big story Researchers have just published the results of seven years of work, in which they have compiled the most complete data available on marine life in the Gulf of Mexico. This fact is significant since the lack of reference data has limited the ability of researchers to fully understand the impact of this oil spill. Thus, the analysis published in the magazine ‘Marine and Coastal Fisheries’, describes the marine composition of the Gulf from the United States to Mexico and Cuba. “Neither fish nor oil spills know national borders,” says lead researcher Steve Murawski, a professor at the School of Marine Sciences at the University of South Florida. “Gathering uniform data for the Gulf as a whole is essential if we want to prepare adequately against future oil spills,” he adds. In 12 expeditions, marine biologists systematically captured 15,000 fish of 166 species, in 343 locations. They divided the Gulf of Mexico into six zones in order to better differentiate the changes in the population and observed that the most notable declines after the disaster were those of red snapper and southern hake. In general, the fish were more abundant in the north and northwest of the Gulf, which has to do with the increase in fishing protections and the area where more phytoplankton is produced, the basis of their diet. Also, the average size of the fish was higher in this area compared to West Florida, the Yucatan Peninsula and Cuba, where there is less presence of large predators. On the other hand, the captured specimens continue to be analyzed in search of residues of hydrocarbons, other organic pollutants and heavy metals. In general, the degree of oil pollution of fish in the northern Gulf is decreasing, although the areas evaluated so far do not contain oil. Thus, the objective of the research will focus on establishing exactly where the baseline for oil pollution is located. In addition, the data obtained provide a basis for assessing resilience to overfishing, climate change, pollution, habitat loss, invasive species and other factors that negatively influence fish populations.